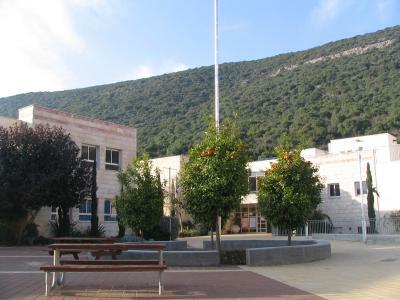 "Carmel Zvulun" is located in Kibbutz Yagur, 5 km east of Haifa. It serves a total of eight hundred and forty students who come from kibbutzim and moshavim in the north of Israel. It offers academic study leading to matriculation and vocational training which includes fashion design, graphic design and robotics/mechanics. The school is widely acclaimed for its educational standards and achievements whilst maintaining an atmosphere of flexibility, warm relations with students and an ability to respond to their special needs. 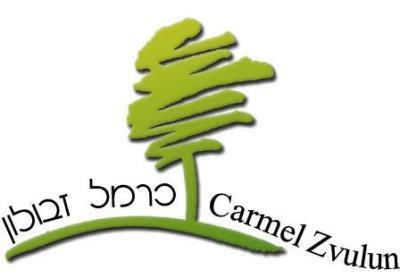 The Carmel-Zvulun Junior High and High School knows in his special for its program which serves 76 deaf and hard of hearing students. Those students travel daily from far and wide to attend Carmel Zvulun, coming from Kiryat-Shmona in the North and Hadera in the South. 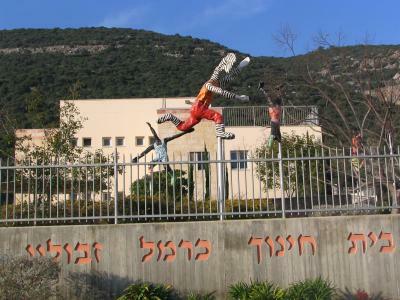 The Arab Orthodox College in Haifa is an educational and cultural foundation, that was founded in 1952 by the Greek Orthodox Christian community in order to serve the entire Arab public in Israel. - To make the students believe that dignity and freedom are top values. - strengthen love for knowledge, culture, and creativity. - The adoption of education based on democracy, equality and understanding among all members of society is bound. The school I'm learning in is called Irony Alef high school of arts. The school starts at the 7th grade until you graduate, 12th grade. The school is special because it includes art in your studying and you can choose to pass the final tests in the domain you chose. The possibilities are: dance, cinema, theater, music and visual arts. 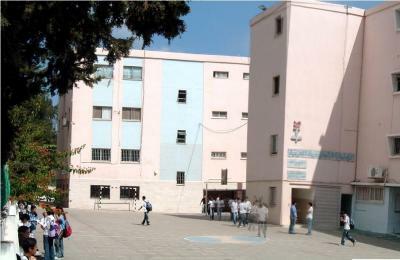 The school is placed quite in the middle of Tel Aviv near art centers for each of the proposed domain, so parts of the art lessons aren’t teach in the school but in those centers. The school system bases on communication and language competence, our “Gymnasium” offers a humanistic branch with ancient Greek, Latin or a modern foreign language. 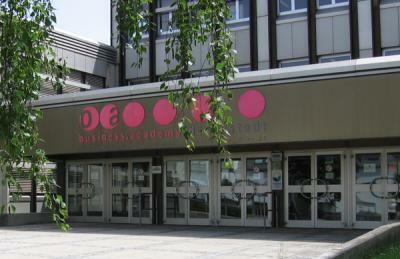 The “Realgymnasium” offers, in addition to two foreign languages, through computer instruction. Starting in the sixth year, these classes are lead as laptop classes. Many famous people visited the school for example Karl Landsteiner, Ari Rath or erich Fried. 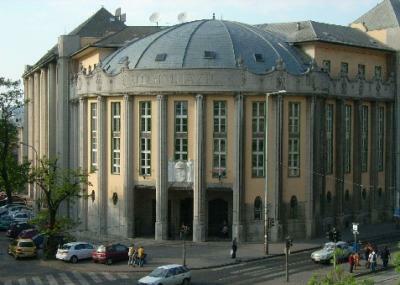 The BG BRG BORG Heustadelgasse is located in Vienna’s 22nd district. It is a middle school and secondary school. Around 1000 students attend the Heustadelgasse. It offers two different types of education. 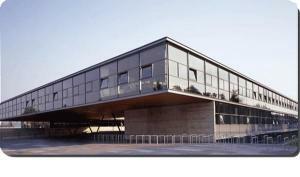 The “Gymnasium” has a focus on languages and humanities whereas the “Realgymnasium” offers more mathematics and natural science. There is a special programme in the second year of secondary school for all students: All students are taught in classes of communication and conflict management and lessons in project management. 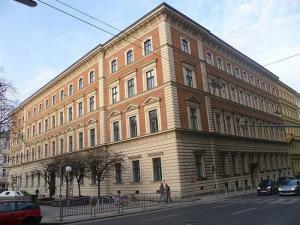 Our school, the Akademische Gymnasium Vienna, was founded in 1553 and has its seat in the building on Beethovenplatz 1, 1010 Vienna since 1866. 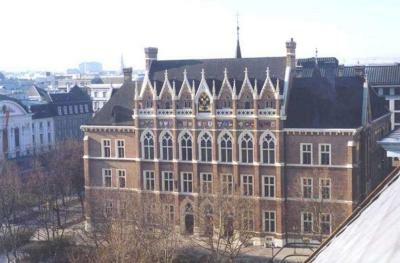 The school was built by Friedrich Schmidt, a famous architekt who also built the Dome and our city hall. It is a public school, meaning everyone can sign up for admission and there are no school fees to pay aside of the books. Some of the more famous students were, for example, E. Schrödinger, A. Schnitzler, F. Schubert, who determined and formed their time politically, socially and intellectually. We have about 610 students, in 24 classes, and ouir school starts after grade school and continues until graduation. The school focus lies on languages, you can choose either English or French in first grade, then in the following year the other language is automatically added to the first. In third grade, Latin classes begin, in fifth grade you can choose between your second language and Old Greek, and in sixth grade you can choose between Spanish, Italian or Chinese. Apart from the regular classes, you can also choose out of a variety of voluntary subjects, specialised in one field. For people who love sports, there is also a wide range of possibilities, for example volleyball, soccer=football, or for instance climbing, as well as jazz dance.